"Two boats on the water is a race"
Our goal is to develop and grow great sailors. Narrows Race Team is about the little things that make a big difference. This is what we are all about and what we encourage all our team members to achieve. The Narrows Race Team, supported by both GHYC Junior Sail and TYC Junior Sailing programs, offers opportunities for middle and high school aged students, regardless of athletic ability, to learn, grown and compete in Northwest youth regattas throughout the year. are welcome to try-out for our team. Middle School Sailing is a program for youth in grades 6 through 8 who have mastered basic sailing skills. 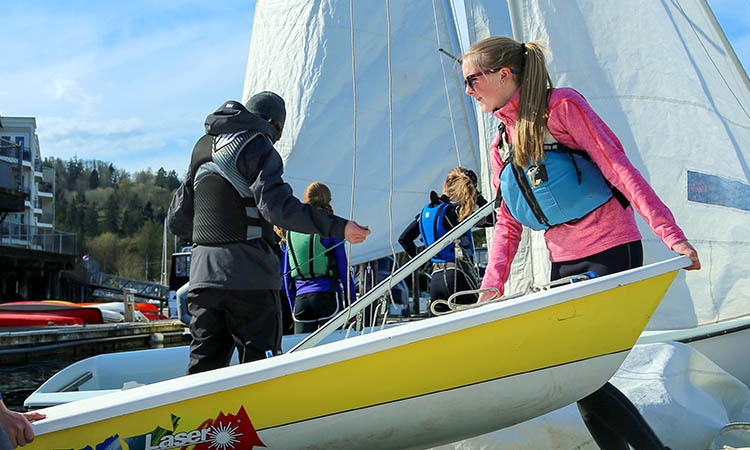 During fall and spring seasons, students sail after school at West Shore Marina in Gig Harbor. 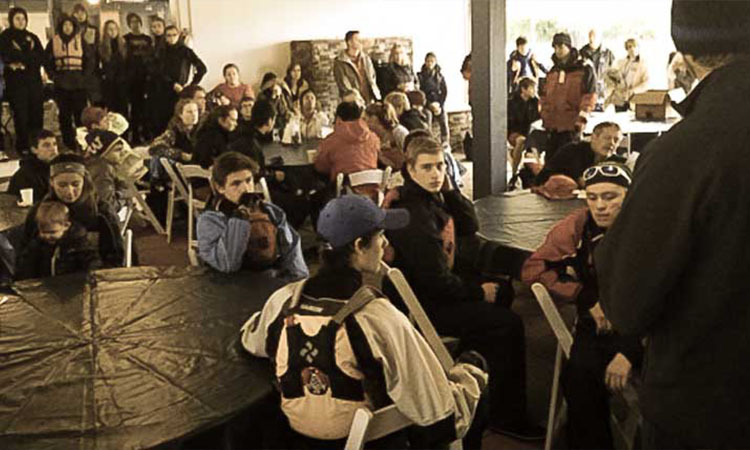 Training includes both on-the-water and off-the-water sailing drills, games, and activities. The goal is to increase sailing skills and to have FUN! Sailors will have a chance to participate in a number of regattas and scrimmages throughout the year. Middle Schoolers, we hope you can join us! Eligibility: Must have mastered basic sailing skills. Age: Open to students in 6th, 7th, and 8th grade. Parent meeting at 7pm on February 26th at 7pm at GHYC (8209 Stinson Ave, Gig Harbor, WA 98332). Area students in grades 8 through 12 practice during fall and spring seasons at West Shore Marina (3815 N Harborview Dr, Gig Harbor, WA 98332) . Most sailing is done in FJs, doublehanded racing dinghies. Practices are after school on Mondays, Wednesday and Fridays. 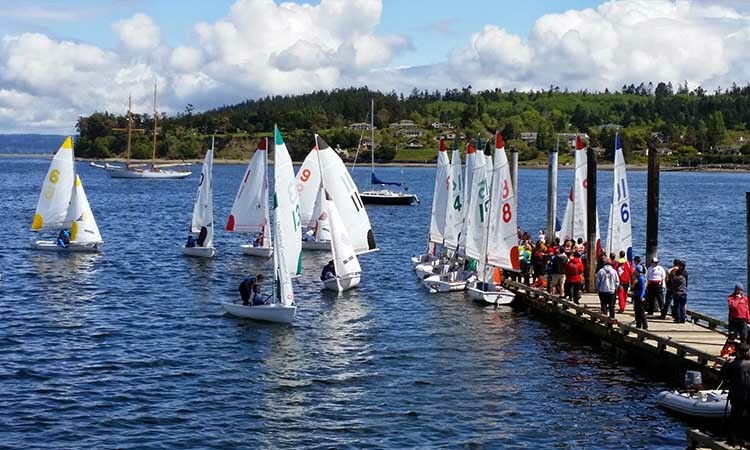 Regattas, overseen by the Northwest Interscholastic Sailing Association, are held on weekends at various locations throughout the region. Eligibility: Must have achieved intermediate or advanced sailing skills and have the ability to swim 50 yards. Boat rigging begins at 3:30 pm. Summer is a fun season perfect for trying out a new sport or a different sailboat. Sailors can sail in a variety of racing dinghies including Optis, FJs, 420's and Lasers depending on age, weight, skill level and interest. Narrows Race Team sailors practice at both West Shore Marina and the Tacoma Yacht Club Outpost on Wollochet Bay depending on age and boat they sail in.